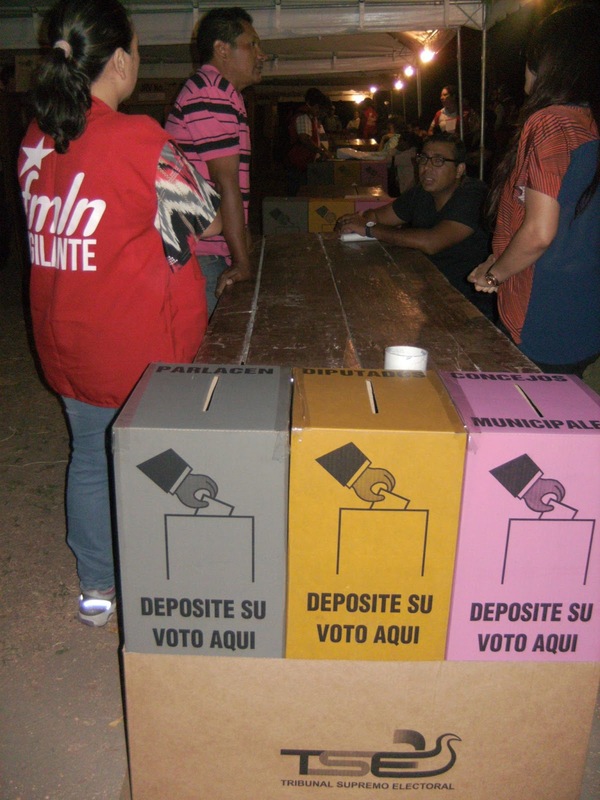 There are less than two months until El Salvador's next national elections which will elect deputies to the National Assembly and mayors in every town and city. It's not going to be easy. 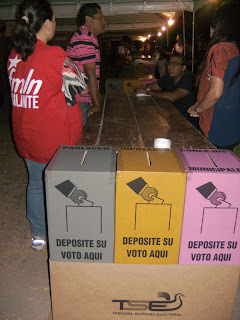 Perhaps the biggest challenge El Salvador's Supreme Electoral Tribunal ("TSE") has right now is to find the more than 94,000 citizens needed to run the vote reception tables across the country. In previous elections, this was the responsibility of the political parties and the persons at the voting tables could be affiliated with the parties. The parties recruited, trained and made sure that people showed up Fairness was ensured by the fact that each of the parties was represented by one of the officials at the tables. However, since the last election the Constitutional Chamber of the Supreme Judicial Court ruled that the officials at the voting tables must be non-partisan and unaffiliated with the parties. Now the TSE must enroll 94,000 nonpartisan officials and train them on a very complicated voting process. The TSE has gone about this by directly recruiting persons to serve as officials, by using lists proposed by the political parties, and by a citizen draft. The citizen draft is the more unusual part of this process. Some 28,000 citizens on the voting rolls were selected at random at the end of December to be voting table officials. The TSE must now go about locating these people, notifying them they have been selected, getting them to training sessions and making sure they show up at the voting tables on March 4. Citizens who are drafted and do not comply are subject to being fined between $25 and $114 and other sanctions. (If you were not selected in the draft, but wanted to be an election official, there is still time to do the online training for the position and volunteer to fill spaces that are still left open). The last time El Salvador elected legislative deputies and mayors was in 2015, and the election process was uniformly viewed as a disaster with final results being delayed for many weeks. Fixing a disaster is a daunting task, especially with a new work force. On March 4, a great many voting tables are going to be manned by officials who have never done the job before, some of whom have been drafted and don't want to be there. These inexperienced and reluctant officials are faced with a difficult job of counting the votes on ballots which are very complicated in the most populous departments in the country. It will be an amazing achievement if the TSE pulls it off. Do you know how someone can be excused from this if they live in the United States? Any information will be precintesz thank you.